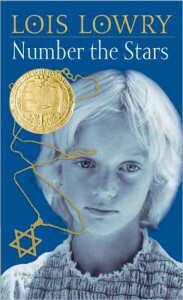 Number the Stars is the story about Annemarie, who is growing up during WWII. When her best friend Ellen goes into hiding due to Jewish persecution, she learns a lot about bravery and the world she lives in. Number the Stars received a Lexile score of 670L, making it readable for most 6th grade readers. This book can be used in conjunction with history to teach about historical perspectives. Students will gain an understanding of the horrors of the Holocaust. Students can also analyze Annemarie's perspective of the events, and predict what Ellen may have felt throughout the story.